ZappiStore disrupted traditional market research by offering a broad range of products and tools which allow clients to measure the effectiveness of their advertising, conduct surveys, analyse the results, and verify the strength of a brand’s equity - in hours, not weeks. Based on the analyses derived from such tools, businesses can make informed, accurate business decisions. One of these tools is Intellection Software, the next generation market research platform. I spoke to Tom Holliss, the Product & Development Director at ZappiStore. He revealed the secrets behind the tools that help render decision making in marketing much easier than ever before. Natalia Chrzanowska: Do you aim to be the world’s top market research provider? Tom Holliss: Yeah. We’d like that, but there is still a long way to go. We aren’t alone, there are other huge companies out there with the same endgame in mind. I think we’re the market leader though, and we’ll try to stay at the front of the pack. For now, we need to continue investing in our technology, operation teams, and service teams. Natalia: How exactly are you going to achieve that? Tom: We’re working in three different areas which we want to push in the near future: one is to make fantastic automated marketing research and to use the latest smart technologies. That means more machine learning and more data science to answer detailed and complex business questions. We’re making great headway there. Second: we want to be ubiquitous. we want to be available in every market in the world, we want to have a solution or product available for every business need. There is a lot of work going on in that area too. Lastly, we want to be really easy to use. That’s where we’ve still got some work to do with regards to the UX and UI on our website. Usability is a massive priority for us. Our goal is to provide an exceptional customer experience, amazing insights and stories, as wel as growing our business at the same time. Natalia: How do your clients evaluate the website’s usability now? Tom: Our clients are not used to the kind of products we sell but finding them very easy to use. They’re accustomed to Powerpoint reports and more manual workflows. We look at our UX with a much more critical eye than our customers. We’re selling mostly to mid-large businesses, particularly established market research buying centres, however we are looking to increase our penetration in small businesses over the next 12 months. Natalia: Why should companies choose you over other providers? Tom: Through our platform, customers can collect, process, and analyse large volumes of data, in just a few clicks, to extract expert-lead insights. Marketing and insights professionals can get business questions answered in hours. Natalia: What sets ZappiStore’s reporting platform apart from other research tools? Tom: One of the biggest distinguishing factors is expert-led insight in our automated research pipeline. We work with leading market research and borrow their intellectual property, their ways of analysing data, and automate the things they would otherwise do manually. We use a proprietary data modelling language (we created it, it’s called ‘Quattro’). With this, we can automate analysis. Its UI and platform capabilities allow us to create custom visualisations and analytics which we can use to scale up the knowledge and experience of our partners. Natalia: Could you tell me more about the technology? Tom: Sure. Most of the app is written in Ruby on Rails and we also have parts of the computation engine written in Python – just where Ruby couldn’t cope with heavy-lifting calculations. And we’re in the process of rebuilding the front end with React. Natalia: Do you use machine learning? Tom: It depends what you mean. Are we using machine learning algorithms? Not extensively. But do our algorithms and conclusions get smarter the more data we load? Yes. The more data you load into the platform, the more accurate the market research algorithms become; the conclusions we’re making become more meaningful. However, we are experimenting with machine learning algorithms for specific use cases such as classifying survey comments for thematic analysis. Natalia: What do your clients say about the service? Tom: Our customers often use long timelines when it comes to market research projects. Previously, they’d have to wait for several weeks to get access to data, so that could be quite frustrating for them. Now, they need to make decisions much more quickly, so a lot of our added value is in giving meaningful data-driven conclusions in a very short period of time. We’re talking about a day or two instead of six weeks. In fact, I was watching a video with one of our biggest clients just yesterday, who said the fact that they can access quality insight and analysis in such a short time has changed the way she works. We’ve got a tech team of about 50 developers now and we’re responsive to building the platform based on feedback we’re getting from users. Our customers are working at the edges of our software, finding new interesting things they want to do all of the time. Their feedback is looped into the development team, and they build the functionalities. Natalia: How long does it take to implement feedback into the platform? Tom: I’ll give you an example. A user gave us feedback yesterday and I was with a developer an hour later. Because that was a quick win and it had just been mentioned, the developer said he could sort that out straightaway. However, we usually run on one or two-week sprints, so often takes a little bit more planning. We’re trying to stay as responsive as possible. Natalia: Any major challenges on the way? Tom: We are reasonably unique, but there are more competitors emerging. I think we face the usual challenges of a technology company, such as dealing with all the dependencies across different teams, scaling agile development teams, scaling projects, and how spend our time. On top of that, we always need to think about how we might stay ahead of the market. We need to figure out how we can stay ahead of the feedback we receive from our users. Scaling from a technological point of view is also a challenge. We’ve got a fantastic devops team who have been working a lot on scaling the architecture. Additionally, the balance between the feature development and keeping our business stable is a tricky one. There is a lot of stuff that we want to build, but we also need to make sure that we make architectural decisions. We take a lot of investment that isn’t necessary at the bottom line of the business. Transitioning from a startup that needs to build to make money, to a company that needs to have a stable architecture to grow, adds friction to that process. But it’s a healthy friction! 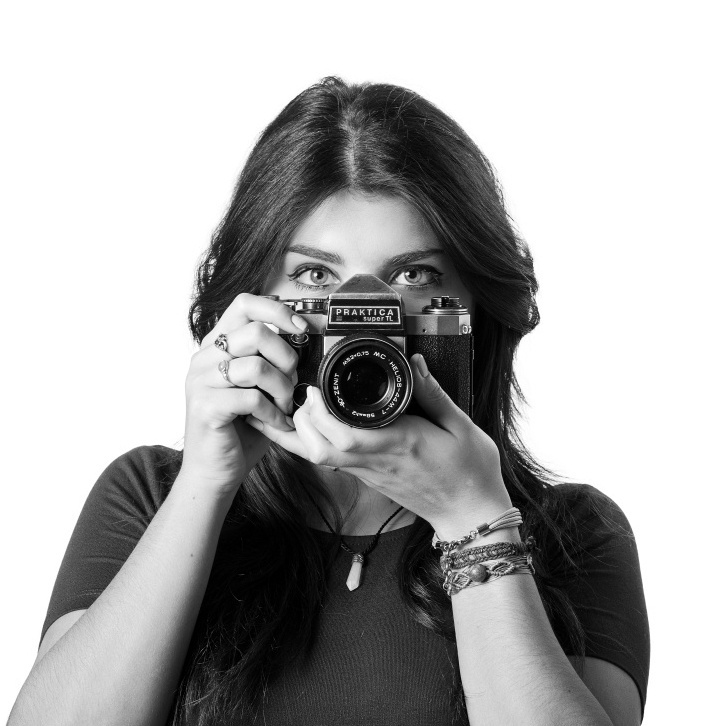 Natalia: What about your marketing efforts? How do you reach out? Tom: I’m probably the wrong person to answer that, but I can give you the answer as I see it. We have a marketing team who run digital marketing campaigns when we strike partnerships with new research companies. We do that reasonably often, approximately a few campaigns a year. We sponsor conferences and different events. We also organise webinars, industry events, and industry groups. At the same time, we’ve got sales teams in the US: Chicago, Portland, Indianapolis, and Boston. We also have a team in Singapore and London. Those guys are taking leads and going to business and marketing departments to sell our software. Over the next couple of years, as we become more open more to SMEs, we’ll push a lot and invest more in digital marketing. At the moment, we’re more of a sales-led organisation as opposed to a marketing-led organisation. Natalia: What are the major successes on the way? Tom: The major success is that we’re still operating! We’ve grown from a team of 20 people to a team of 170 people in just three years. We’re growing at about 100% year-on-year, which is obviously really cool. We’ve got a lot of people who are excited about the problems we’re solving. We’re building a strong, positive culture and moving very much in the right direction. 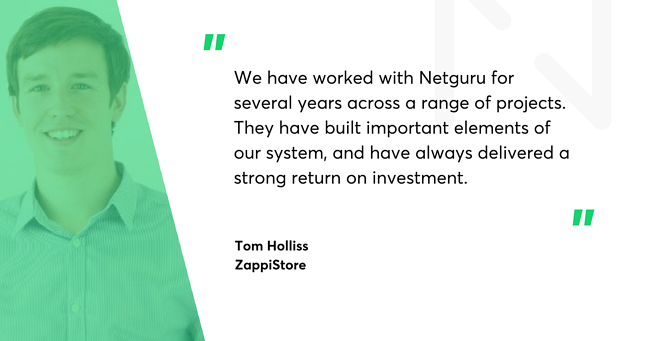 Tom: We’re proud to see that another Netguru’s client has been extremely successful in the industry, changing the way people do things thanks to technology. Zappi has helped many enterprises with their day-to-day work; we’re looking forward to hearing more success stories from Zappi in the future.